TSMC further cuts its 2015 capital expenditure. Taiwan Semiconductor Manufacturing Co., Ltd. (TSMC) has announced further cut on capital expenditure for 2015 by over 20 percent to US$8 billion, in the wake of its earlier cut to the 2015 spending that totaled around US$1 billion in April of its originally planned US$11.5-12 billion. Clarifying that the capex reduction is not due to sagging business, its chief financial officer, Lora Ho, said that the cuts are driven by the company's further boosting the efficiency of its production equipment, thereby saving around 33 percent in cost; that TSMC's 20nm process equipment can be converted to make 16nm chips to save around 30 percent; that the company has put off new equipment purchase plan until next year to save around 20 percent; and the strengthened US-dollar helping to reduce the company's cost of purchasing imported equipment by around 17 percent. Despite the said four factors, Ho said that the company would set aside over US$9 billion as capital expenditure for this year. She stressed that the company is losing neither market share nor orders, and remains optimistic about the business outlook in 2016, dispelling the rumors that the cuts came about due to loss of business to rivals. Ho said TSMC, recognized as the world's No.1 pure silicon foundry supplier, will definitely spend more next year than this year on new capital equipment mainly because it will boost 16nm process capacity and increase investment in 10nm process R&D, without ascertaining specifics on such increase. The cuts have pushed the company's 2015 capital expenditure below its spending average in the previous three years, during which the spending was in excess of US$9.5 billion in both 2013 and 2014 and US$8.3 billion in 2012. However, TSMC's 2015 expenditure remains higher than that of Intel Corp., the leading American chip maker, which has cut its capital outlay to US$7.3 billion from US$10 billion. 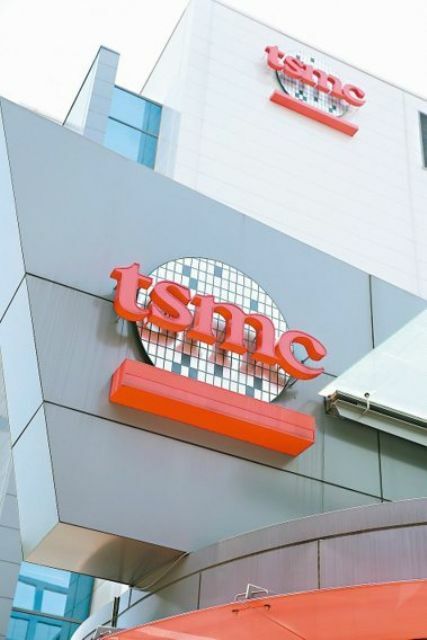 Regardless of the reductions, TSMC has achieved steady increases in sales of its advanced process foundry service using 16nm, 20nm and 28nm processes. In the third quarter alone, sales of 28nm process foundry service accounted for 48 percent of its wafer revenue, with 16nm and 20nm together constituting 21 percent. In the third quarter, the company had consolidated revenue of NT$212.51 billion (US$6.62 billion) and after-tax net income of NT$75.33 billion (US$2.35 billion), or NT$2.91 per diluted share. The revenue result represents an increase of 1.7 percent year-on-year and a gain of 3.4 percent from the previous quarter, but with net income down 1.3 percent from the same period of last year and 5.1 percent from a quarter earlier. The company forecasts its revenue for the fourth quarter to slightly slip to the range of NT$201-204 billion (US$6.28-6.37 billion). Gross margin is projected to stand between 47.5 percent and 49.5 percent while operating profit margin is expected to range 36.5-38.5 percent. The company's executives ascribe the revenue decrease partly to the adjustment of inventory backlog at chip vendors that have slowed the demand for 28nm foundry service. But they maintain that the company's share in the market for 28nm foundry service will grow this year and the company's shipments of 28nm wafers will steadily increase in the first quarter of next year. They expect the company's sales of 20nm process foundry service to steadily grow by the end of this year although some of its 20nm customers have shifted to 16nm process foundry, which entered into volume production in the second quarter to have begun contributing to the company's revenue in the third quarter. In the final quarter, 16nm foundry service will bring in considerable revenue growth. Although TSMC is optimistic about business in 2016, it has cut its growth forecast for the global semiconductor industry to around zero in 2015 from the originally predicted 5 percent growth, and the later revised 4 percent and 3 percent growths year-on-year. Company Co-Chief Executive Officer Mark Liu attributes the downward revisions mostly to anemic market for end-user electronic products, strengthened US-dollar, and the slowing mainland Chinese economy. He points out that in the end-user market, the demand for smartphones is projected to grow around 10 percent year- on-year this year but the demand for PC and consumer electronics will drop 6 percent and the demand for tablet PC is even estimated to plummet 14 percent. The strengthened US-dollar, he says, has weakened sales of many electronic products and semiconductors that are either sold or quoted in greenbacks; while the slowing mainland Chinese economy has taken a toll on the sales of smartphones in the world's No. 2 economy. Although the weak demand has led to the increase of semiconductor inventory backlog by 10 days at vendors in the third quarter relative to the second quarter, Liu is confident that the inventory will be cleared significantly in the final quarter.